North Brook Dairy, a division of North Brook Farms, is the original cow mattress manufacturer! You can read our story here. 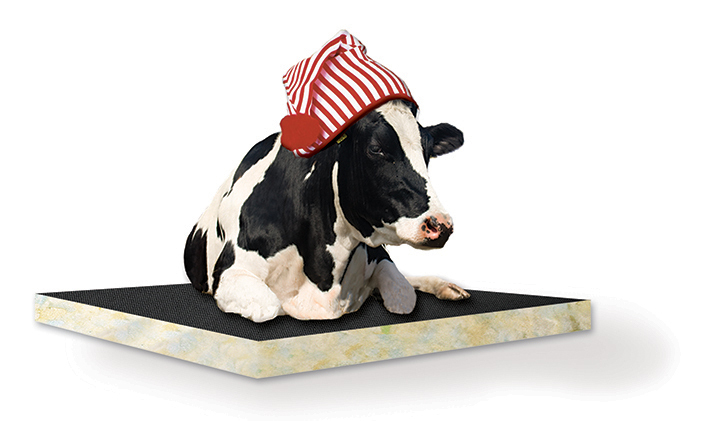 For more than 20 years, dairy cows have been resting comfortably on North Brook foam cow mattresses featuring a waterproof, easy-to-clean rubber top cover. All North Brook Cow Beds are manufactured from recycled, inorganic materials that resist bacteria and fungus growth for improved hygiene. And every North Brook cow mattress comes with a five-year warranty — one of the best in the business! ● NBF Plastics, a leading supplier of plastic plywood and other innovative, sustainable building materials for the agricultural, equine and commercial/industrial industries. ● IGK Equestrian, a leading provider of dust-free arena footing installed in more than 250 indoor/outdoor arenas throughout North America, along with equine comfort systems. For more information about North Brook cow beds or any North Brook Farms product, please see your North Brook Farms representative or contact us today.